Artisanal Imports uses only qualified, vetted tasters for its events, ensuring the customer is educated and appreciated, and that retailers have the promotional products and signage they need. 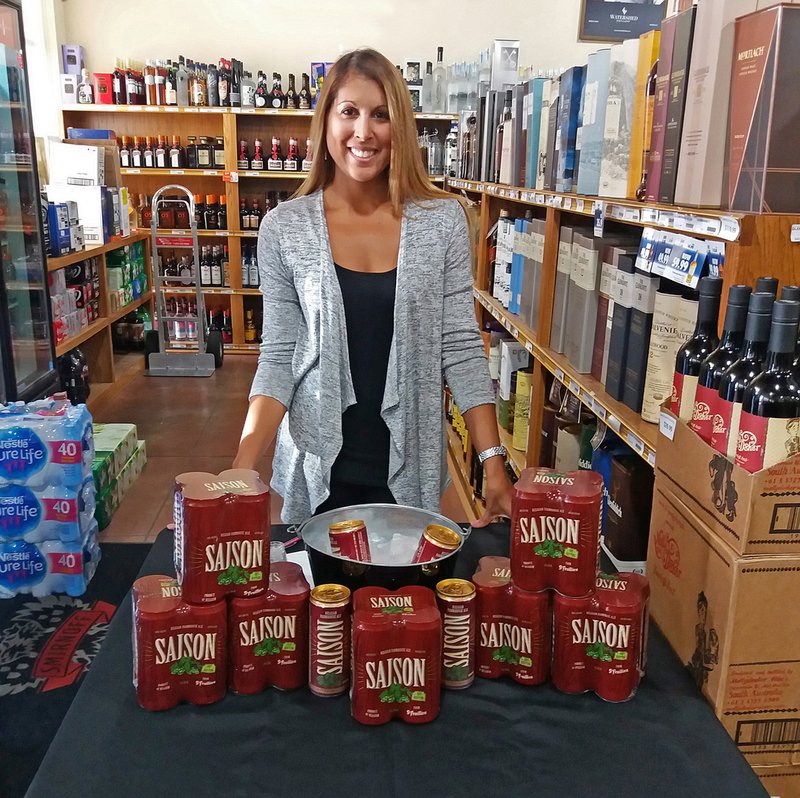 In-store tastings are an essential element of grassroots beer marketing. They are one of the most direct and powerful routes to customer education, acquisition and retention. After all, first impressions are generally lasting impressions. Here we will discuss the key factors in a successful in-store tasting, perspectives to consider, and how Artisanal Imports can facilitate sales by supporting your events. The core value of in-store tastings rests on the concept that an increased knowledge and understanding of beer leads to a greater appreciation and desire to discover new flavors. In-store tastings provide a unique face-to-face opportunity to interact with customers, educate them and leave a lasting impression. Consumers often make purchasing decisions based on emotion, how they feel about a product or service and the company that provides it. These events create a positive emotional association both to the hosting establishment and sampled brands, which can pay long-term dividends through loyalty and word of mouth recommendations. For retail operations, providing or hosting demonstrations is a great way to position your establishment as an expert source of information and to build lasting relationships within your customers. By offering tasting events, your business becomes a gateway for beer discovery, and can help build a community around your retail establishment. In-store tastings increase foot traffic, keep those feet in-store longer, and increase conversion rates. For retailers, in-store tastings lend an air of authority, demonstrating your ties to the beer industry, and increase the likelihood of return customers. You’ve given them a positive shopping experience, turning what may have been an errand into an event. In doing so, you have separated yourself from the competition. Artisanal Imports supports both on and off-premises retailers by offering in-store tastings and education seminars for its portfolio of world-renowned international brands. Please contact us to learn more. The best way to ensure a smooth landing for a product is by having someone on the ground who is prepared to interface with consumers, retailers and suppliers. The best ambassador for a brand must be above all, knowledgeable and relatable. Someone who is truly personable will be as skilled at listening as they are at speaking. After all, tasting events are valuable feedback tools, and those real-time first impressions from objective sources perform as a focus group. Furthermore, they are “gateway experiences” for the customer. If you can convince the customer you sell products with quality and individuality, you will increase the likelihood that they will explore your inventory further and recommend your establishment to others. The right ambassador should also be invested in the well-being of the establishment. If so, they will be better positioned to capitalize on selling opportunities and relay customer feedback. They will also educate the consumer, allowing for a fuller appreciation and understanding of the product. The success of Artisanal Imports and the brands it supports has been built on long-lasting relationships. We understand that by partnering with like-minded retailers, both parties are building a framework for continued success. For that reason, we are committed to providing retailers with the support they need to host high quality tasting events. Tasting events build customer loyalty for the establishment and for the brands. Together we can offer the consumer an opportunity to enjoy an unforgettable sensory experience and guide them towards better beer choices in an enjoyable environment. La Trappe’s Governorship program is a shining example of how brands and retail establishments can successfully collaborate to enrich a clientele. Consider what type of event would best fit your establishment. Is your establishment more suited for a casual, walk-around approach or a more focused sit-down tasting? Artisanal can accommodate whatever style of event would best suit your needs. Is this a pop-up event, or is it a scheduled event to be promoted? Would it be beneficial to make it a regularly scheduled affair? Examine the layout of your venue – what area is best suited for a tasting? Three important elements would be visibility, accessibility, and of course, proximity to the beer. Look for opportunities to utilize other available resources at your disposal. If your establishment serves food, perhaps a paired tasting menu could be created, giving customers the chance to enjoy both food and drink. What demographic will you be serving to? If there is an element that can be focused, the event can be specifically tailored to engage this audience. What have we missed? Artisanal Imports is here to help you plan, staff and supply supporting promotional materials to ensure your next value driven tasting event is educational and engaging.